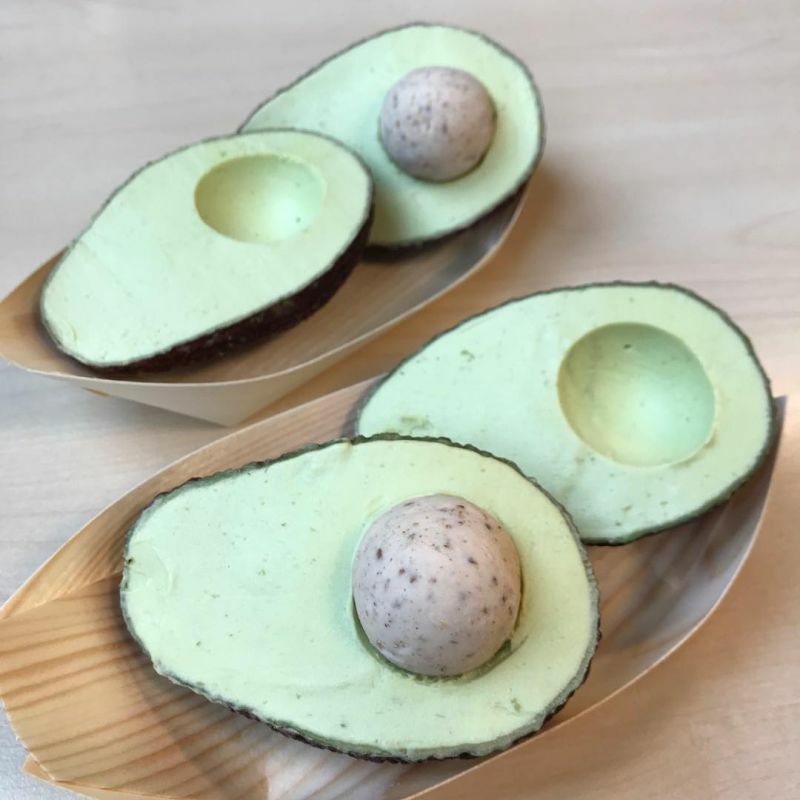 It’s no secret that millennials love their avocados. 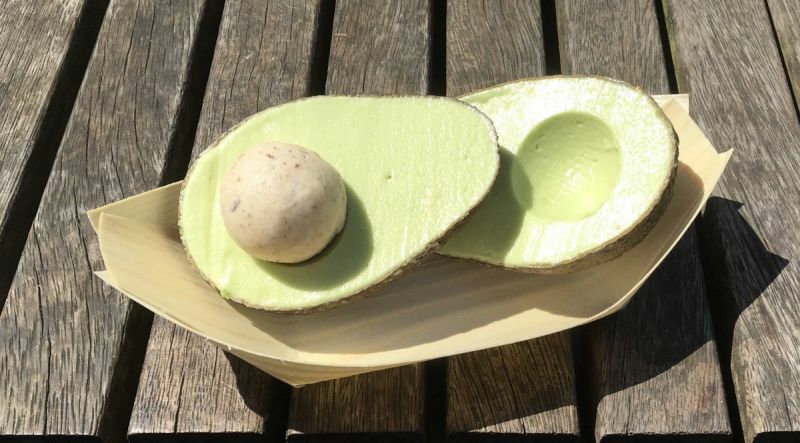 From avocado toast, to avocado socks, to avocado chocolate, we will make anything avocado-related a thing. 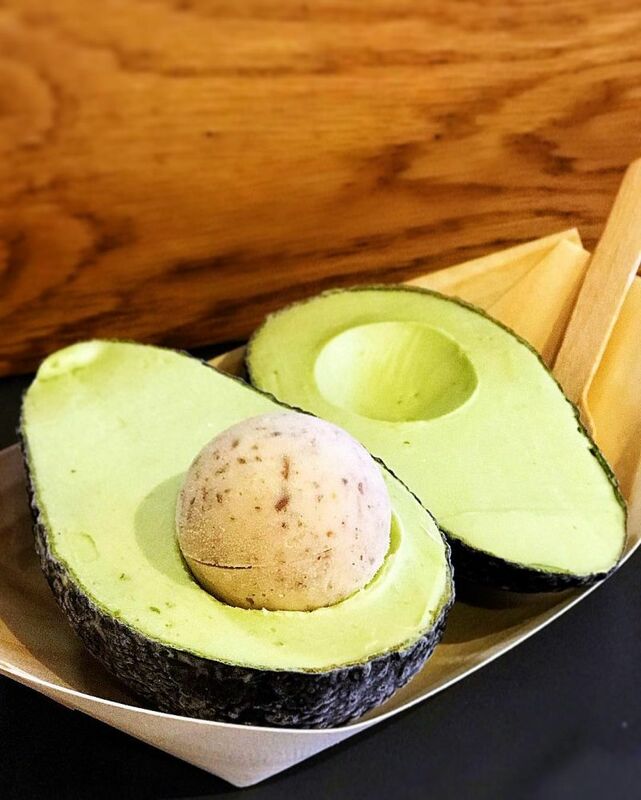 If you aren’t totally nuts about the avocado yet, meet the Avolato, a healthy avocado vegan ice cream, served with a nut butter stone in a real avocado skin. Whether you’re vegan, lactose intolerant or are simply craving something sweet, this indulgent treat is sure to satisfy. 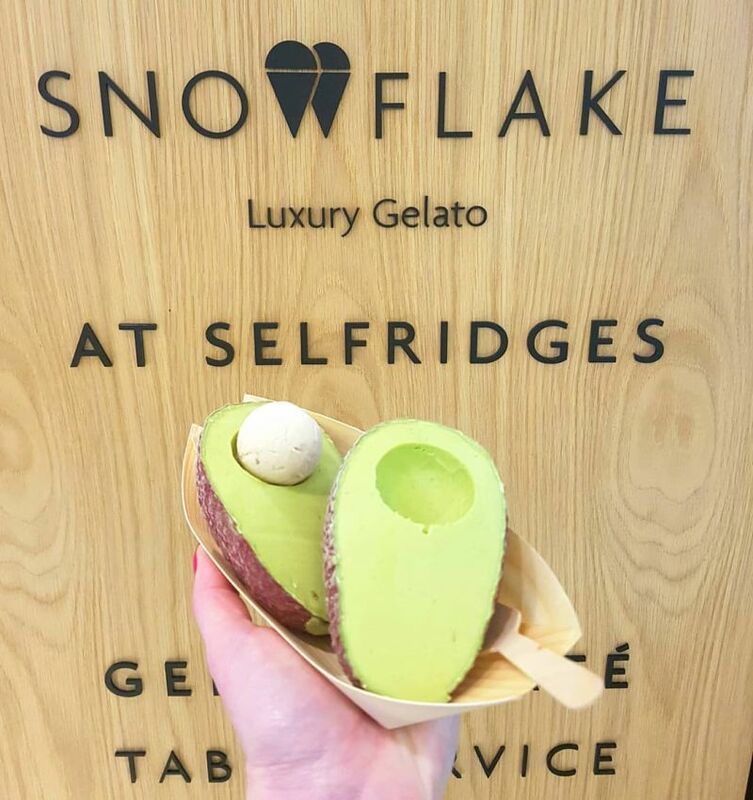 The Avolato was dreamed up by Snowflake, a posh gelateria with branches in London and Barcelona. 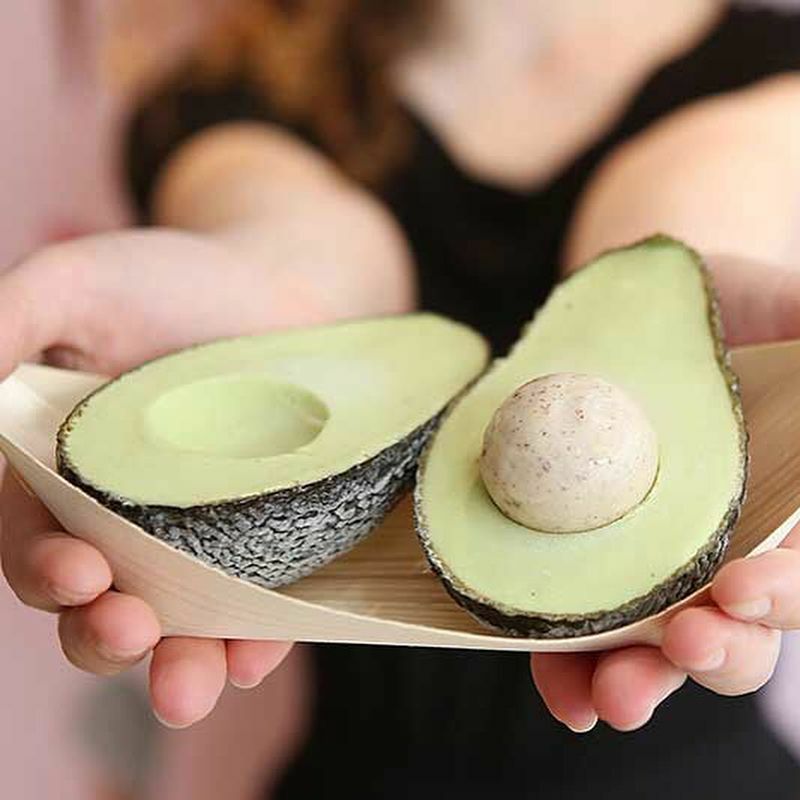 It’s an avocado world and we’re just living in it (and loving every minute). The most popular fruit of the moment, if not the last couple of years, has been given a summer make-over. 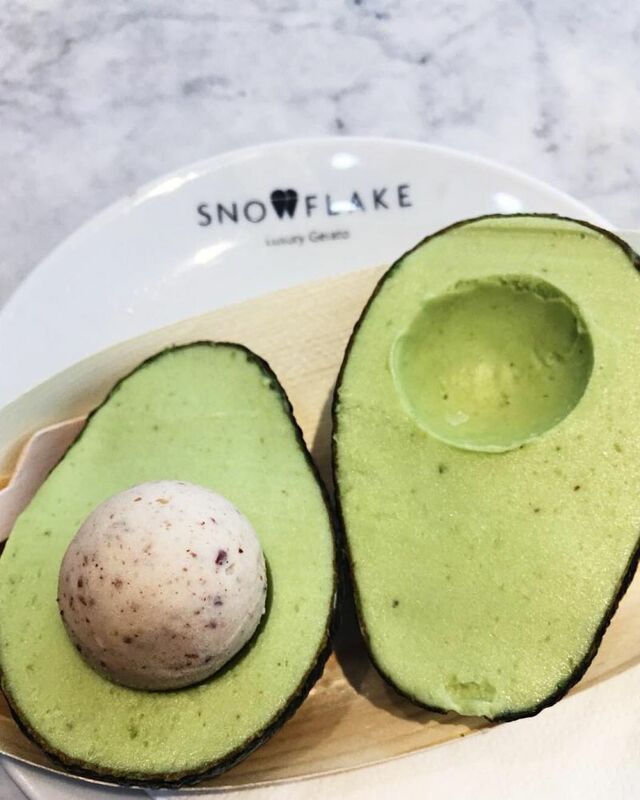 Snowflake in Selfridges, London, is serving an avocado gelato that comes in a real avocado shell. 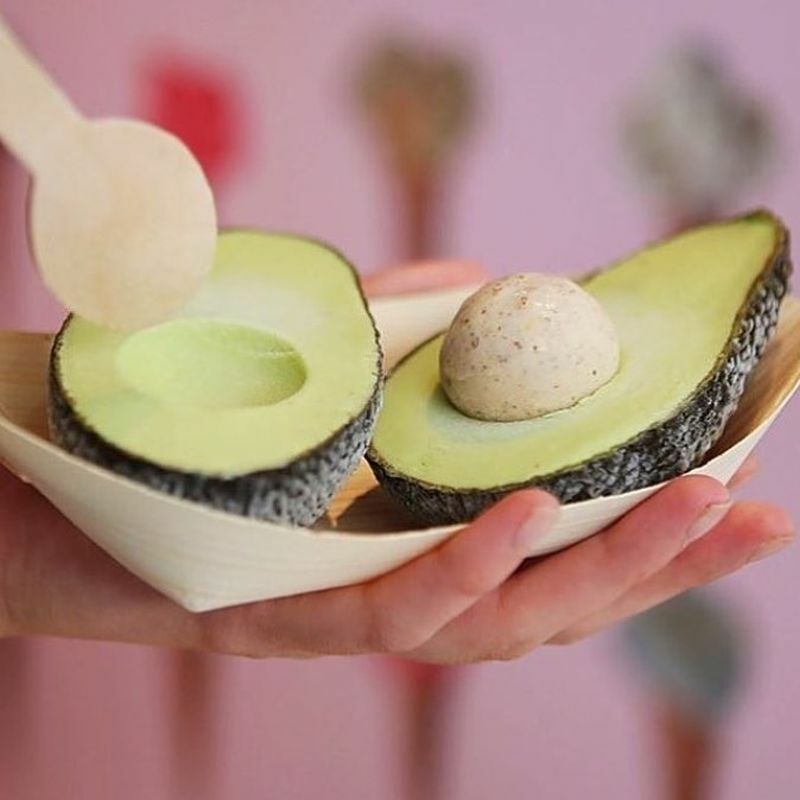 It is made with only three ingredients: fresh avocado, grape sugar, and lemon juice. It also has vegan nut butter stone. The edible stone is made up of Pip & Nut peanut butter, soya milk, flax seeds, almonds, Brazil nuts and walnuts. 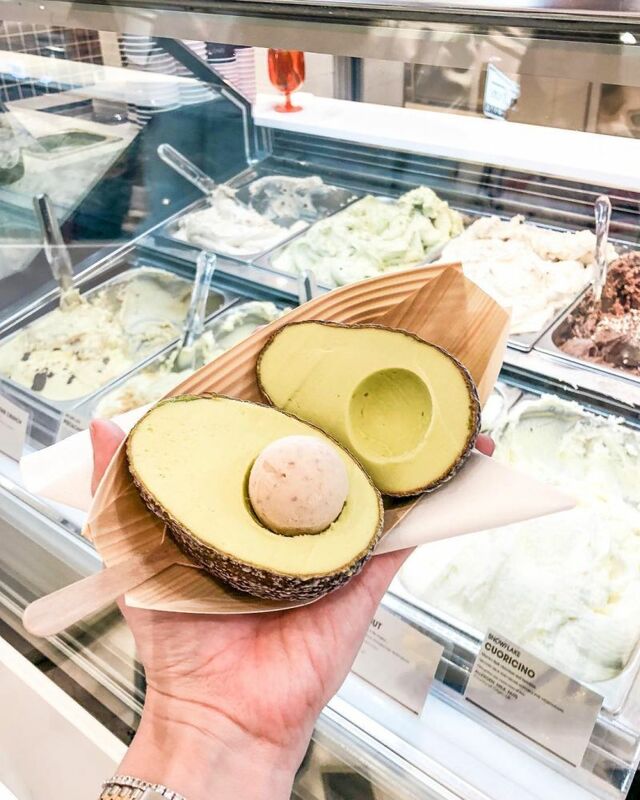 The frozen dessert is high in protein, vegan-friendly, and free of dairy, gluten, and refined sugar. 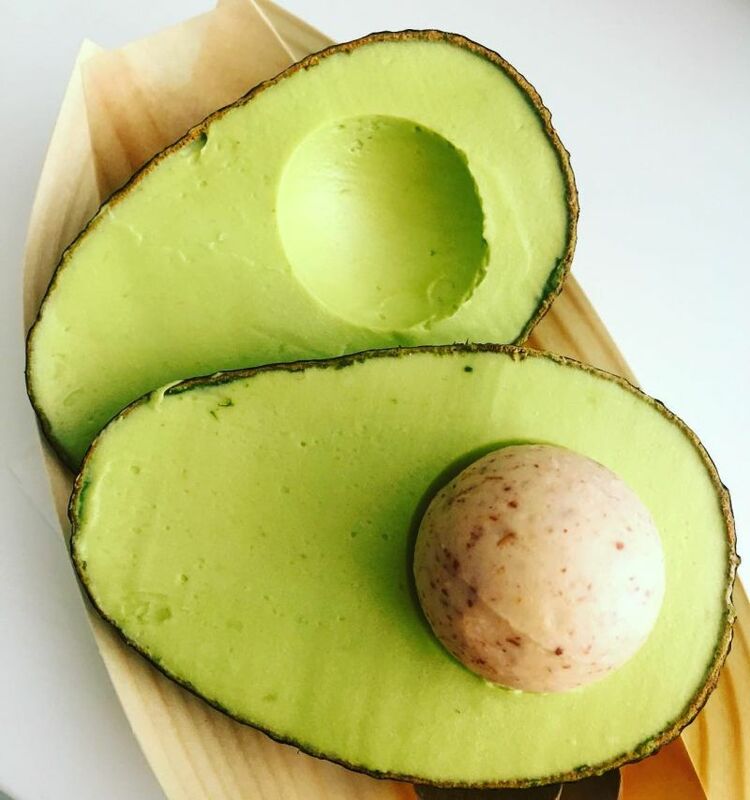 Along with your diet, you won’t have to worry about the planet, either – Avolato comes in its own bamboo boat with bamboo forks. 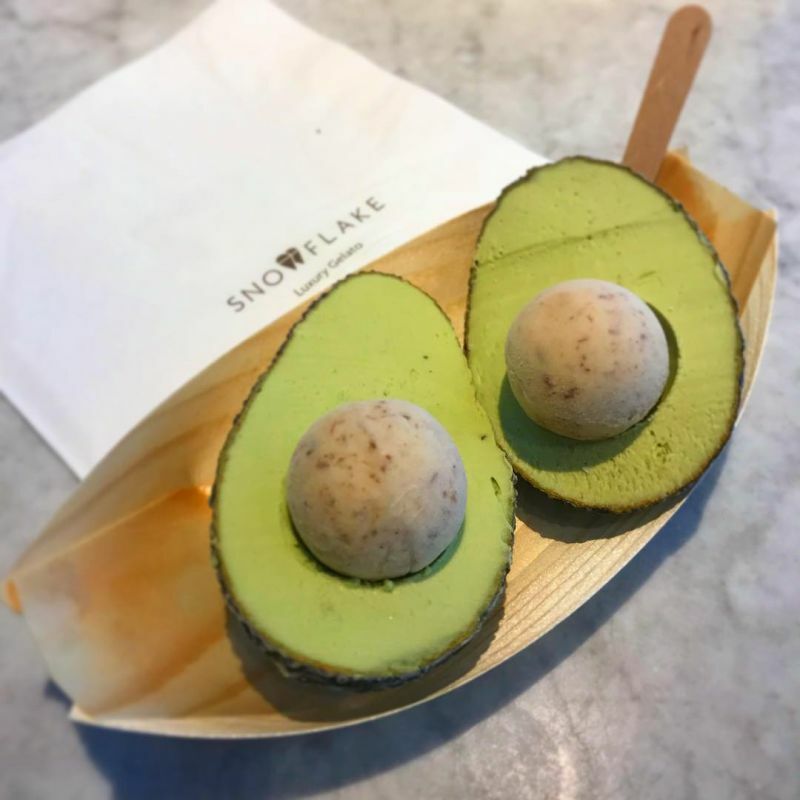 Snowflake’s head gelato chef, Silvia Gaetta, said: “It’s not just a new flavour, it is a form of art”. 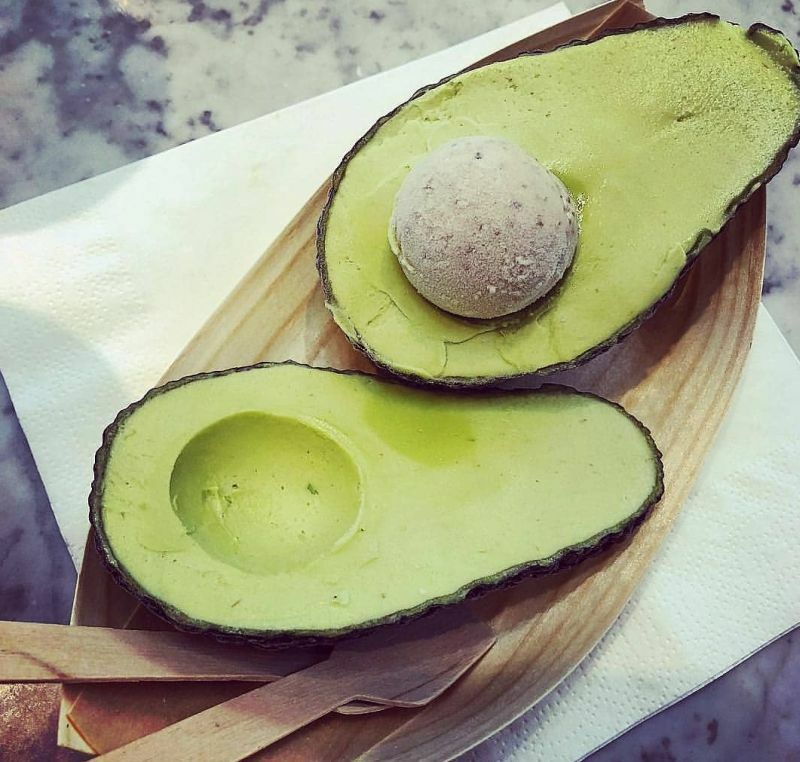 Obviously, such a decadent treat doesn’t come cheap, the avocado vegan ice cream costing £9.50 for a 200 g serving. This incredible, mouthwatering vegan dessert looks freakishly like the real fruit and is the very proof that you don’t need eggs or butter to make drool-worthy sweet treats. Does ice cream get any healthier than this?